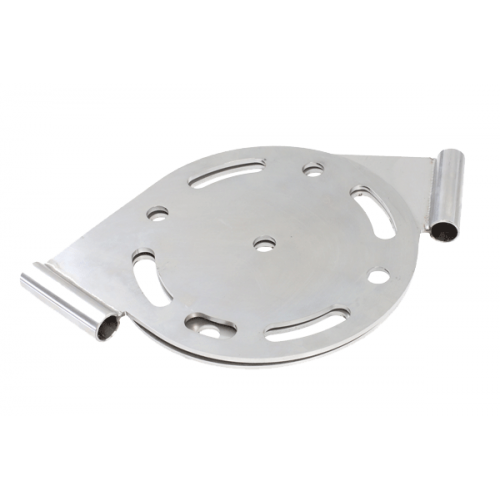 150mm Diameter Variable Termination Discs are a sandwich plate design which adjusts to almost any required angle of the fabric corner. The 12mm ID tube allows for tension adjustment of each individual side with 12mm Threaded Terminals such as the Swageless Threaded Terminal. To clamp the two discs use a M10 Hex Head Set Screws and Hex Nuts or Nylock Hex Nuts.